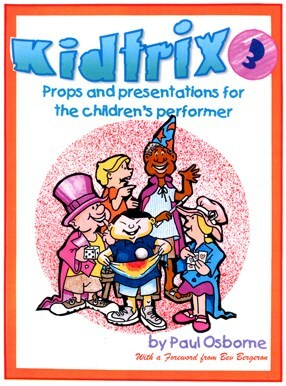 Kidtrix 3, like the two previous volumes is an 8.5" x 11", saddle-stitched book filled with charming black and white illustrations which help you learn and master Paul Osborne's approach to entertaining children. At AmazeKids we are in awe of the volumes of material he has produced for the kids and family market, all of it practical, with that touch of Osborne originality. When you read his creations, we think you'll agree.